You have probably seen commercials for Invisalign, the invisible way to straighten your teeth without braces. Invisalign uses a series of clear removable aligners to straighten your teeth without metal wires or brackets. No no one but your dentist needs to know you are correcting the position of your teeth. The best news is our office is certified to offer Invisalign. The fact they are invisible is one of the most popular reasons to opt for Invisalign treatment, but that’s not the only reason why. Many like the fact the aligners are removable. This makes eating, drinking, brushing, and flossing much easier. This means healthier teeth and gums at the end of treatment. Of course, Invisalign is also much more comfortable to wear since their are no mouth abrasions from metal braces and wires. Plus no regular appointments for adjustments. 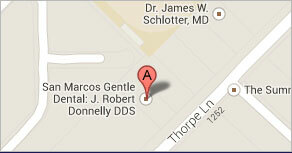 Your fist step in achieving a straighter smile is to come to our office. We will evaluate your teeth and work out the best method of treatment. This will include taking impressions of your teeth which we will send to Invisalign. 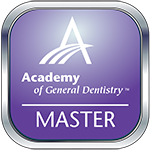 There, they use advanced 3-D computer imaging technology to transform your bite impressions into a custom-made series of clear and removable aligners. There may be as many as 48 in the series or as few as 12, depending on your individual treatment plan. At your next office appointment, you get your first set of aligners. We will most likely give you a few additional sets to wear before you return for your next visit. You just start wearing them and enjoy the results of your new smile. Please call our office at 512-396-5225 to schedule your free Invisalign consultation today.